Each year, when corn season arrives, I take my kids to the local market to pick up some fresh ears. Together we remove all the husks (they always end up dropping an ear or two into the garbage pile but, hey, that’s part of the fun!). Then, we take them home and cook them up. I love watching my kids gobble down what they picked out. 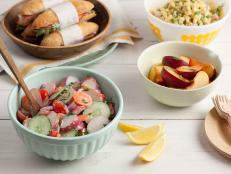 Our favorite is eating fresh corn straight off the cob, but there are tons of ways to enjoy these sweet summer kernels. Corn is a New World food, and Europeans didn't enjoy it until after Columbus sailed the ocean blue. In Europe, they call corn maize, which comes from the American-Indian word mahiz. Many Americans toss all but the corn kernels, but the entire plant has household uses: the husks work for tamales, cobs can thicken stocks and the stalks are great for animal feed. Some folks even make medicinal teas from the corn silk. Corn grows in a rainbow of colors -- from yellow to purple to white to brown and some multicolored. The two most popular types are white and yellow. The different varieties all have fun names, too! “Silver Queen” is a sweet corn with white kernels and a creamy texture. “Tuxedo” is another variety of sweet corn that is yellow with 8-inch ears. “Temptation” is one of the most popular varieties of sweet corn and is typically eaten on the cob and has narrow 7-inch ears with bi-color kernels. Peak season lasts from May through September. Because sweet corn is grown in all 50 states, you can easily find it at your farmers’ markets or corner farm stand. In fact, 40% of the world's corn comes from the U.S. and half of that goes to feeding livestock. Canada, China and Brazil are also big corn growers. Beyond just animal feed or corn on the cob, corn byproducts go into creating bourbon, corn oil, cornstarch and, of course, the infamous high fructose corn syrup. Corn is a starchy vegetable (technically, the kernel is a grain), which makes it higher in calories than other veggies; calorie-wise, it's similar to grains such as rice. 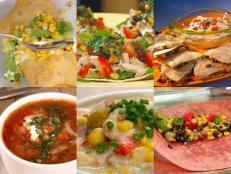 One cup of cooked corn contains 130 calories and 1.8 grams of fat. It’s an excellent source of thiamin, a B-vitamin that helps produce energy, and a good source of fiber, protein, vitamin C and potassium. It’s also packed with lutein, saponins, and maizenic acid -- all phytochemicals that have been associated with heart health and cancer prevention. 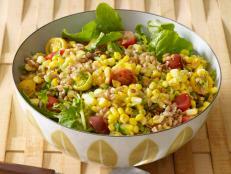 Corn also contains yellow carotenoid pigments, including eye-protecting antioxidant zeaxanthin. Besides fresh, corn comes frozen, canned and creamed. 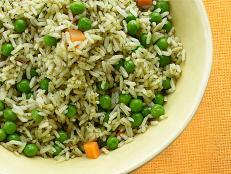 I could give you an earful (pun intended) of ways to prepare it, but 3 of my favorite healthy -- and simple! -- ways are grilled, boiled and steamed on the cob. Just a pat of unsalted butter and a touch of hot sauce makes it irresistible. 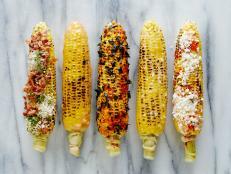 For the tastiest results, grill, bake and steam corn in its husk. 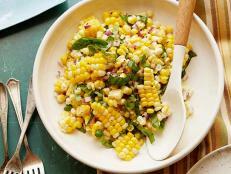 Corn salad is another one of my top ways to eat it. 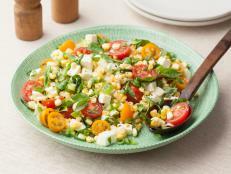 Dana and I made this unbelievably delicious Tomato and Corn Salad for TV appearance this past Memorial Day -- yum! 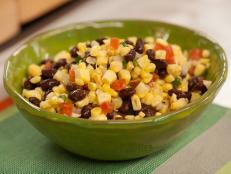 For salads, soups, quesadillas or pasta dishes, you’ll need to cut kernels off the cob. 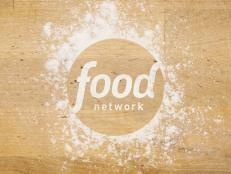 To do this without making a huge mess, use two bowls: one medium and one large. Place the medium bowl upside down inside the large bowl. Rest the end of the cob on the medium bowl and, using a sharp knife, cut off the kernels in strips. Instead of going all over the counter, they’ll land in the large bowl. You can preserve your farm-fresh corn by freezing or canning it. If freezing, be sure you blanch it and you can keep it in an airtight container for up to one year on the cob or 2 to 3 months if you're just freezing the kernels. Typically, canned corn is preserved as whole kernels or creamed by using a pressure canner. Creamed corn is another delicious, popular way to enjoy corn, but as the name warns, be wary of the classic high-fat, high-calorie ingredients like whole milk or butter. Shopping Tip: For the best flavor, eat fresh corn the day it’s purchased. As soon as the corn is picked, its sugar slowly converts to starch, a process that makes it less sweet as time goes on. Look for ears with bright green, fitted husks and golden brown silk. 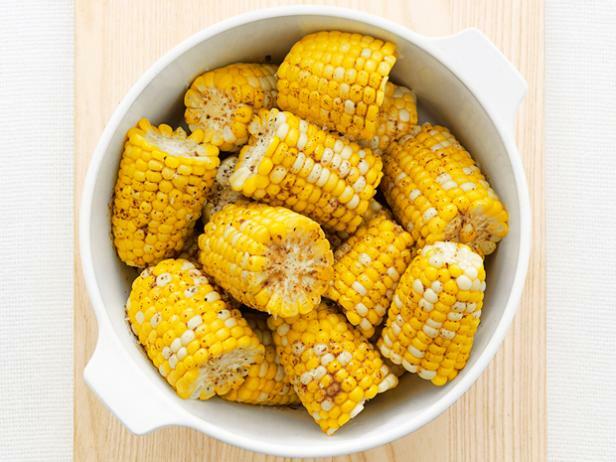 The kernels should be plump and come all the way to the ear’s tip with each row of kernels tightly aligned. Avoid ears of corn with shriveled husks that look burned or have dark-colored slime. Refrigerate fresh corn in a plastic bag with the husk in tact for no more than one or two days. 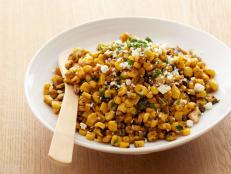 TELL US: What's your favorite way to enjoy summer-fresh corn?